So we are officially into December and here at our Toronto headquarters we certainly began feeling the winter weather this week. Here as usual is my internet marketing summary for the week. Keep educated and enjoy! We would like to remind any of our readers that education is the key to your success! Sign up here and you will begin receiving regular updates from the Rise To The Top blog that will help you make better business decisions. You can also follow our updates on Twitter. Why Aren’t My Pay Per Click Ads Showing? One of the most common things that we here from clients is “Why aren’t my ads showing on Google?”. The reality is that there are many factors which influence why your ads are or are not showing. We highly advise anyone that is having this issue to read this article which helps provide insight into why your ads may not be showing in Google Pay Per Click. Studies show that sites that load faster improve visitor retention and activity. Google is providing a tool to measure the speed of your site. If you would like the TechWyse team to conduct a speed test and clean up the elements of your website that may be causing it to load slower please contact us and we will let the testing begin! Conversion Friendly Website Development Running Full Steam! Stay tuned for our monthly roundup. We launched more then 9 web development projects in November and are excited to begin our Google Website Optimizer testing on many of them to ensure a continually improving conversion process. 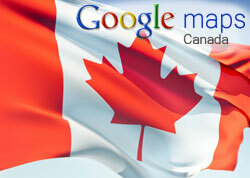 Get Your Free Google Website Optimizer Test This Month! Since we are on the topic of conversion make sure to contact the team here at TechWyse to have us setup your free Google Website Optimizer test. That is correct; If you are a current client with us we want to help kick start your road to continued improvement by setting up a test for you. Visit this blog to learn more about how Google Website Optimizer can help. Google increased overall market share to record highs last month at the hands of both Yahoo! and Bing who both saw reduced market share. For true search marketing enthusiasts the week has finally arrived – Search Engine Strategies Chicago. Considered the leading search engine marketing conference in the world, this is where much of the search marketing guru’s around the world collect to network and learn. Although the deal for Bing to takeover as Yahoo’s search engine was announced back in July, all the final details were finally put into place and the deal was formally agreed upon this week. Bing will likely be fully integrated as both the organic and paid search provider for Yahoo! by end of 2010. The agreement will allow Microsoft access to more data and will allow Microsoft to become a bigger player in competition with search rival Google. Google has launched a series of new features in Analytics over the past month. This includes improved reporting, and intelligence features. If you want to learn more about them there is a webinar this Wednesday December 9 at 1pm EST. You can register here. If you didn’t here Google also launched a new code base for Google Analytics. It is called a asynchronous tracking code. You do not need to have this installed as of right now if you have the standard code already but it will aid in helping your page load faster and is considered an upgrade over current code. Our advice? Give this a few more weeks to get the kinks ironed out before integrating. Ok – so this may be a little techie but definitely worth mentioning because it can have profound effects on how the internet works in the coming years. Google announced Google Public DNS last week. Google has tabled this as there way of making the web faster. And it very well could but if successful it will take the information Google retains to a whole new level. Here is some reaction to the Google Public DNS announcement. Lots of information to process from a busy week in internet marketing. We hope you found this summary of points helpful in your own online education! Marketing is essential whatever business you’re in, online or offline. It is one of the key ingredients of a successful business. Yes, indeed a very educative summary. Google’s refinements leave the notion that ‘speed’ will be the lone factor in determining site’s ranking in the coming days. Google’s open DNS idea may offer faster and more stabler searching experience, but Google can have access to more of our data. Again privacy concerns, that big ‘G’ is always dismissive. I am also looking for educative posts by analytics gurus having light on asynchronous tracking code.